The Yoga Lab brings you a diverse range of teachers & practitioners. All have extensive training and offer their own unique approach to a combination of yoga, movement and therapeutics. Our yoga teachers have experience in the beautiful Anusara Yoga modality among many other forms. 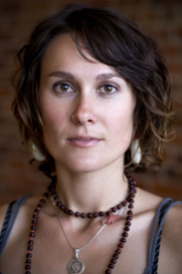 Camilla is the Director of The Yoga Lab and a multi-disciplinary movement practitioner, educator & therapist. She is fascinated by human beings and being human. 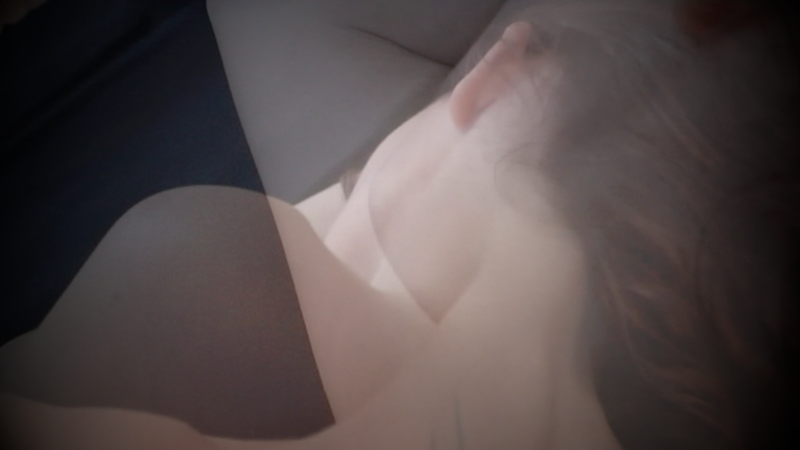 Synthesizing over 20 years research & work in movement, yoga, improvisation and sound design, Camilla facilitates experiences for individuals and groups to more acutely inhabit themselves and grow their understanding of what and how they are. This ‘knowing’, she believes, is critical to our personal and collective vitality and sustainability. Camilla has been teaching yoga since 2005. She has an established private consultation practice in movement education, therapeutics and philosophy. Movement is a long time love. Camilla has danced for as long as she can remember and still does, especially with her two little children, Stella & Taylor. Anusara Yoga taught her an immeasurable amount. Body Mind Centering continues to nourish at the deepest of levels, and there have been many discoveries within Alexander Technique, Skinner Release and Contact Improvisation. Camilla has a background as an arts journalist & radio documentary maker. Her perpetual appetite for the stuff of science, story telling, philosophy and movement fuels her work. Back in 2011 Camilla Maling spoke at the first Melbourne TEDxWomen’s event. We wanted to share it with you as it speaks to our ethos. 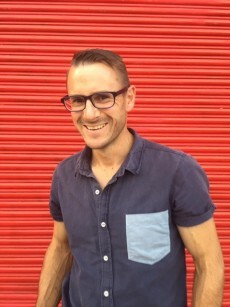 Bing Smith founded The Yoga Lab with Camilla back in November 2012. Bing plays a key role in the strategic direction of the studio & business management. By day he is the General Manager of Studio Round. India is a Yoga Teacher, Shiatsu Therapist, Oriental therapies practitioner, Truth Seeker, Explorer, Mover and Shaker. India is the founder of Urban Yoga & Shiatsu, she is a founding member of The Shiatsu Collective, and she is a Member of the STAA. It is her mission to master of her body and mind, to delve into new states of consciousness, to know truth, to love unconditionally, and to play her part in the revolution of universal consciousness. She draws inspiration for her classes from anatomy, physiology, eastern therapies, philosophy, physics, movement, expression, art, music, the present moment and basically everything as it arises. Her life is her practice and she is loving the now. The little people are a vital part of what keeps us real and connected as professionals and individuals. Stella & Taylor may be ‘little’ Labsters but they are ‘great’ inspiration and very much a part of our team. The Yoga Lab is a community centric studio with family at its heart. Over the last twelve years yoga has taken Rani on a profound journey of self discovery, it is how she finds balance in body mind and spirit. She is inspired by taking yoga off the mat and finding it in every day moments. For Rani yoga is a way of being,living and moving through the space around her. It is a lifestyle and a continual journey of growth. Rani completed her teacher training in 2011. She teaches a dynamic hatha yoga practice and incorporates pranayam and meditation. 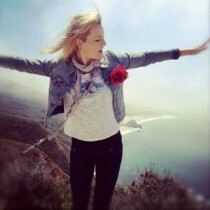 She hopes to encourage others to embark on a deep journey towards knowing and loving oneself. Gabrielle is a qualified Occupational Therapist with over 25 years’ Clinical Experience supporting people move through mental and emotional blocks. Working with a wide range of clients with mental health and substance use issues. Such as; Anxiety, Depression, PSTSD, Personality disorders, Schizophrenia, Bipolar disorder, Alcohol and drug dependence and social and emotional issues. She has worked in the UK, New Zealand and Australia in a range of community, inpatient and specialist settings and is renowned for her ability to work with complex issues. She works holistically and creatively to help people create positive change in their lives, break unhelpful habits and move toward the lives they want to live. She works collaboratively with anyone who wishes to transform their lives. Specializing in working with people who have mental health, addiction and trauma based issues. She creates a safe, challenging, creative and supportive space to address what’s stopping people move to where they want to be in their lives. Using a wide range of tools, including cognitive and behavioural techniques, movement and drawing, to help investigate what id preventing people from moving through life with contentment and ease. Gaby understands that change occurs through action and it is only you who can take that action but with the right support, direction and strategies change is possible. Annie was drawn to yoga because of a love of movement. She quickly started pursuing what lay beneath the poses as various teachers and texts evoked curiosity. She has remained interested not just in the benefits of consistent practice, but in understanding how the practice leads to a sense of ease and contentment. Annie trained in Vinyasa and Hatha with The School Yoga Institute, and undertook her advanced training with Nina Alfers through Jungle Yoga. 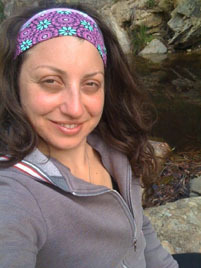 She has also undertaken Embodied Flow training with Tara Judelle and kids yoga teacher training. With a background in dance teaching, Annie is a skilled communicator of body movement and alignment; her transition from practicing to teaching yoga came naturally. Psychology study has instilled a particular interest in the relationship between Yoga and emotional wellbeing. Annie’s love of movement means she finds yoga a great platform for self-inquiry and finds the holistic approach of yoga an accessible technique for achieving a greater level of connection to oneself and others. Annie combines these interests to teach a strong, slow hatha flow, with an emphasis on breath and technique. She finds that guiding classes provides a space to explore and share the tools that she has found useful. Her clear and technical approach is great for beginner and experienced yogis alike. Jen approaches yoga as a form of movement-based meditation and loves how it encourages self-awareness, self-expression, and self-care. 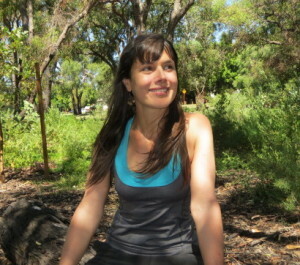 After completing a Hatha Yoga Teacher Training program at Sivananda Ashram and Beacon Yoga Centre in Perth in 2009, Jen began teaching at the Centre for Movement Studies and Yoga Moves (also in Perth) in 2010. There she began practicing mindfulness meditation, under the guidance of Dr Richard Yin. After moving to Melbourne, she conducted an Honours research project on mindfulness meditation for medical students at Monash University. 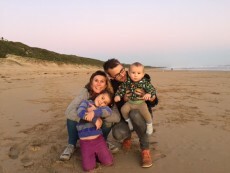 Jen now works as a tutor and mentor on mindfulness programs for wellbeing, stress release, health enhancement, and peak performance at Monash University both on campus and online through MOOC. Jen’s YogaLab classes combine thoughtful and playful movement, with elements of flow, alignment precision in asana, strength building, pranayama, mind-body awareness, mindfulness meditation, and relaxation. These classes invite exploration and contemplation both on and off the mat, engendering states of fun and calm. Yoga for Chiara is a landscape through which her creativity and curiosity flourishes and is shared. Also an anchoring point as she moves through her world as a soul inspired. Chiara’s driving aspiration is to empower people to believe in themselves, be playful and choose life every time. Ineke de Graaf is an, Alexander Technique teacher and co creator of The WonderLab Project. Her teaching has been informed by 20 years of movement investigation and creative practice. 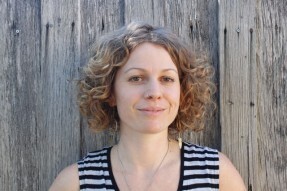 Ineke invites playful, intelligent inquiry into our sensory experience and the capacity to be our whole selves. What we often take for granted as the everyday is given detailed attention, to be made new and delighted in. Kaela Snibson, the founder of Yoga Sparks and certified children’s yoga and partner yoga teacher (Rainbow Kids Yoga), has had over 6 years experience working with children in dance, rhythmic gymnastics and the performing arts. 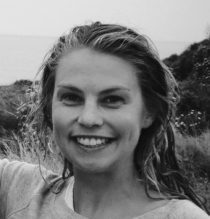 Kaela has also completed studies in child and developmental psychology while undertaking a Bachelor of Laws and Bachelor of Arts at the University of Melbourne. Prior to founding Yoga Sparks, Kaela worked as a corporate lawyer for four years. During this time, she benefited immensely from the practice of yoga and mindfulness and wishes she had developed these skills at an earlier age. Kaela combines her passions in cultivating interactive, creative, dynamic and play-based yoga classes that are accessible to all. 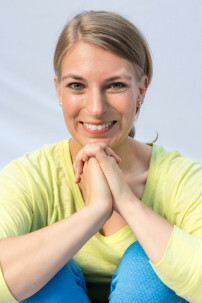 Natalie Poole is a certified 5Rhythms teacher, a qualified school teacher and a Dance Movement Therapist. She currently teaches 5Rhythms for adults, and children and is developing a series of workshops for women. 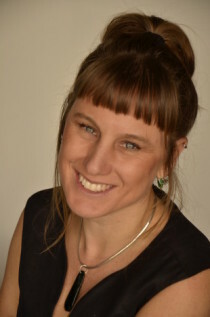 Natalie has experience teaching in schools and universities, and has worked in therapeutic settings. Natalie has a special interest in children’s development, and working with women, and has a private dance therapy practice.